FNUPress ReleasesLatest NewsLADY CONQUISTADORS WOMEN’S SOCCER DEFEATED AT HOME BY ASA COLLEGE. LADY CONQUISTADORS WOMEN’S SOCCER DEFEATED AT HOME BY ASA COLLEGE. 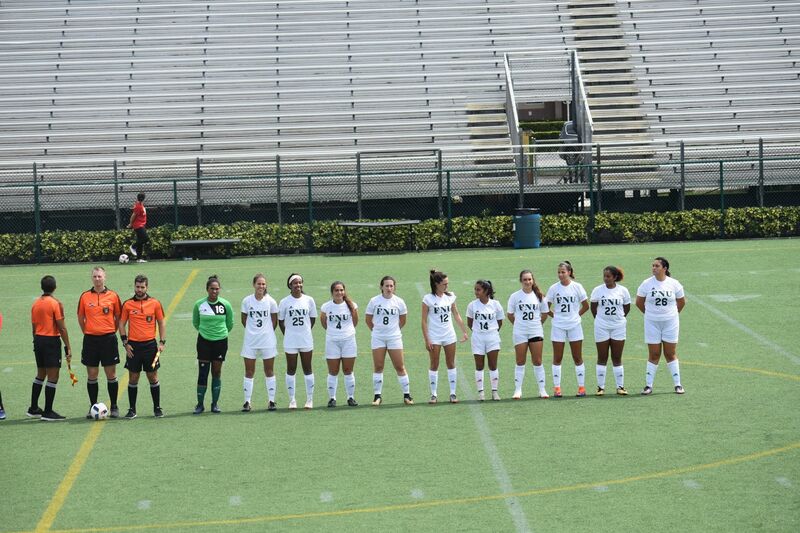 HIALEAH, FL – Florida National University Lady Conquistadors and ASA College women’s soccer teams met in a season match held on Friday 09/14 at Ted Hendricks Stadium. The first half of the match ended with a 2×0 score for the ASA team, with goals scored by midfielder Alejandra Hurtado (minute 32:05) and striker Valentina Restrepo (minute 45). The second half of the match started with a great reaction from the Lady Conquistadors. Midfielder Paola Mejia reduced the difference in the score to 2×1 at minute 6 of the second half, after taking advantage of the rebound from a free kick from defender Isabela Martins. Also, it is essential to highlight the performance of the players D’Yolanda Pineda and Evelyn Roque, who showed their strength and will in the last minutes. For climatic reasons, the game was interrupted and finished at minute 28 of the second half with the score of 2×1 for the “silver storms” girls of ASA College.